We are CAA approved drone operators based in Warwickshire. We use the latest drone technology and specialise in 4K ultra high definition aerial filming and photography at affordable prices. 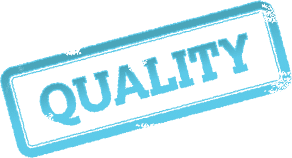 We aim to provide a personalised service and quality products to each customer and strive to achieve 100% customer satisfaction in everything we do. We will listen to your ideas and look to understand exactly what you want from a shoot to help us deliver the desired aerial images and videos. We will provide you realistic timescales for editing and turnaround of our images and videos and will always keep you up to date along the way. We will work with you to ensure you are happy with your photos and or videos and offer a number of edits to ensure you are completely happy with our work. If the unfortunate situation arises where we cannot fly due to weather we will reschedule for another shoot at the earliest opportunity, if the event is a one off a refund will be issued minus the booking deposit. Our aircraft are built with failsafe procedures to ensure the system will return to its home landing point if signal is lost with the aircraft or the battery level reaches a certain level. The aircraft can also be recalled autonomously upon the pilots request. "Unlimited edits to ensure 100% customer satisfaction"
"We can film up to 4K video quality"
All our systems come with the latest drone technology to help capture stunning aerial video and photographs. Our drones have 4K cameras which can shoot video in up to four times more detail than standard 1080HD video. We use 3-axis gimbals to ensure the camera is stable and level through any flight conditions to deliver phenomenal photographs and footage which our customers are guaranteed to be happy with. Would you like to discuss further?